Posted on October 22, 2018 by Danny Arguetty. This entry was posted in Being Active, Staying Healthy and tagged Being Active, Staying Healthy, yoga month. Bookmark the permalink. In the past three weeks of UW’s Yoga Month, we have been learning more about what benefits yoga can have on the body, mind, and soul. Last week we presented the first four chakras – foundation, fluidity, empowerment and heart. This week, we’ll be diving into the last three chakras – expression, insight, and connection. The fifth chakra resides at the throat center and is all about communication, creative expression, and speaking truth. It involves our ability to listen, speak with intent, and connect to the ways that we express and share our passions with the world. This center reminds us that if we ignore what it is we truly desire or sweep under the rug the ways in which others have impacted us negatively, we end up living from a less authentic and expressive place. This area of the throat correlates to ether (or sound), is represented by a light blue color, and relates to navigating deception both from ourselves and from others. When this wheel is out of balance, practitioners might experience reduced creativity, fear of speaking and an inability to confront and state what isn’t working. Physiologically, there might be dysfunction with the thyroid, soreness in the throat, and pain particularly in the neck and jaw. 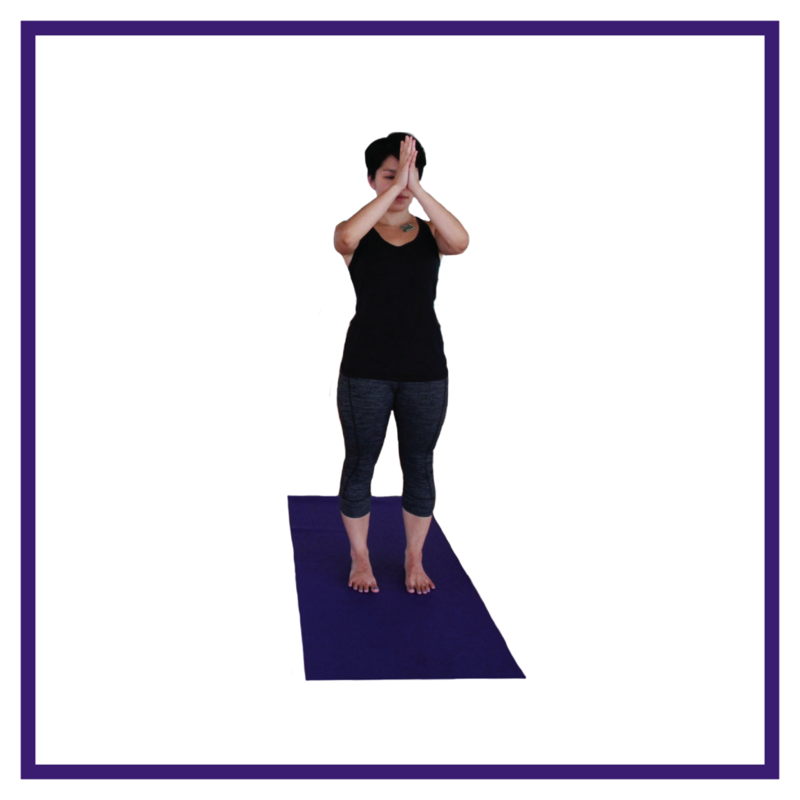 Fish: Stay super engaged in your forearms throughout this whole pose; to release, do not lift your head way up off the floor; instead, lift slightly to release arms and shoulders and then bring chin to neutral. Reverse table or inclined plane: If your hips are not able to stay high in inclined plane (legs stretched forward), bend your knees for reverse table (keep hips in line with knees). Legs up the wall: If your hamstrings are a little tight, move your sitting bones a bit away from the wall and keep a bend in your knees (you’ll still get the full benefit of the inversion). Having the sitting bones further away from the wall and knees bent is important for many with low back tension. The sixth chakra resides in the spot right above the center of the eyebrows and is all about intuition, inner sensitivity, perception, and reflection. It involves our ability to sense what lies beneath the tangible surface and lead some portions of our daily life from the inside out, instead of just the outside in. This center reminds us that if we ignore the guidance of our inner knowing we might end up living in regret for overlooking our personal intuitive inclinations. This area of intuition correlates to light, is represented by the color indigo, and relates to navigating a more contracted or limited point-of-view. When this wheel is out of balance, there might be an experience of being overly external, never taking personal alone time, and difficulty seeing internal and external patterns. Physiologically there might be eye strain, vision problems, headaches, and insomnia. Child: Child pose is not cozy for everyone. 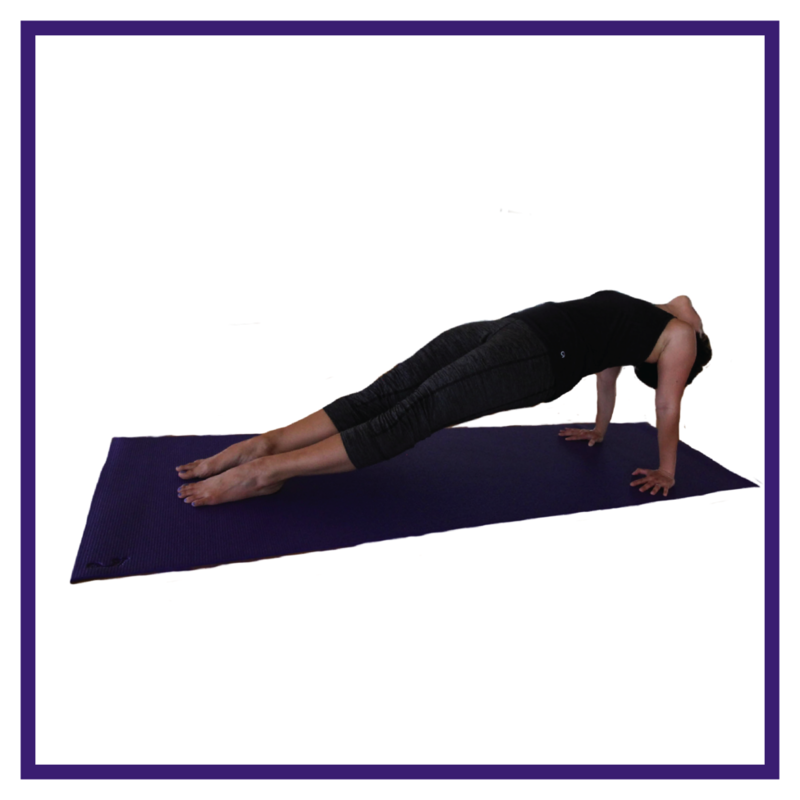 If the hips feel too tight, shift your weight forward; hips in line with knees is key, arms out in front, forehead onto the mat in puppy stretch. 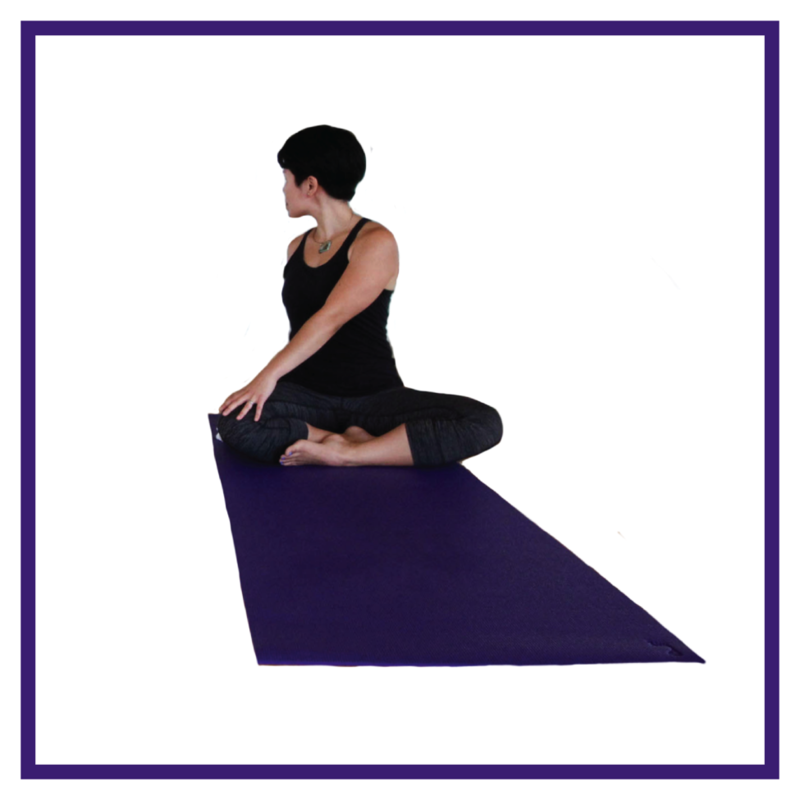 Seated twist with soft eyes: just as in cross legged seat, if low back or hips are tight, sit up on a folded blanket or cushion. The seventh chakra resides at the crown of the head and is all about connection, recognition, and being a part of something greater. It involves our ability to remember that we are a part of a larger collective and are interwoven into the web of life. It also invites us into living mindfully throughout our daily interactions with self, others, and community/nature. This center reminds us that if we only live for ourselves or forget that we belong to something more universal, we lose a certain aspect or our meaning and purpose. This area of the head correlates to thought vibration, is multicolored and relates to navigating a feeling of separation. When this wheel is out of balance there might be an experience of being overly individualistic, a poor relationship with the natural world, and rigid beliefs. Physiologically there might be depression, confusion, apathy and migraines. 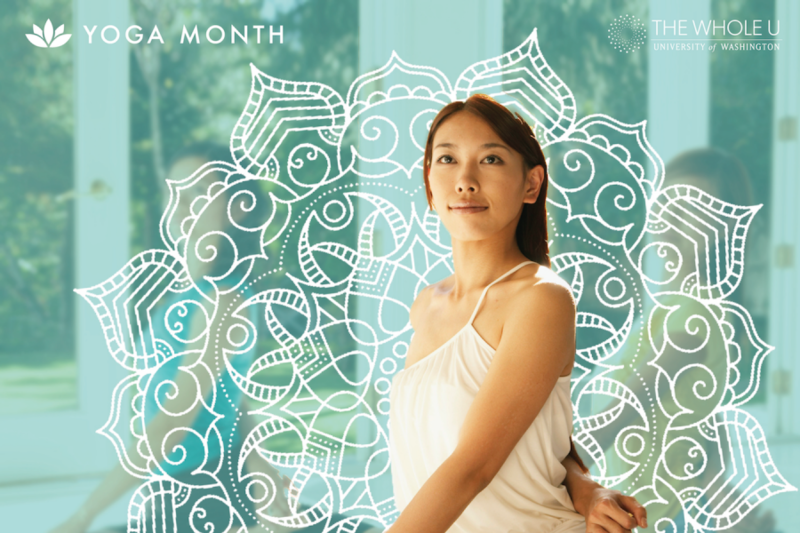 To cultivate more overall integration and connectedness, explore Savasana. Put on a gentle timer to let go of the task of tracking time. In this final posture, lay on the ground. If your lower back is uncomfortable, place a rolled blanket (like a tube) or your pillow (if it is long) under your knees. If that still doesn’t alleviate low back discomfort, bend your knees (if it works in your legs let one knee rest to the side of the other, knocked knees). Ensure your limbs feel spacious from your side body. Theoretically, open palms help the shoulders relax, but check-in with your own physical structure. Cover your eyes. Allow your breath to be in the background and, unguided, rest. Once your timer rings, take a few moments to reawaken, move fingers, toes, hug your knees in and roll over to one side in a fetal pose. Pause for a moment before pressing back up to sit. In this seat reflect on how you feel post exploration. What has shifted? Gradually open your eyes and return to your day. If you’re interested in trying out more yoga poses throughout your week, try our 21-Day Yoga Pose Challenge. 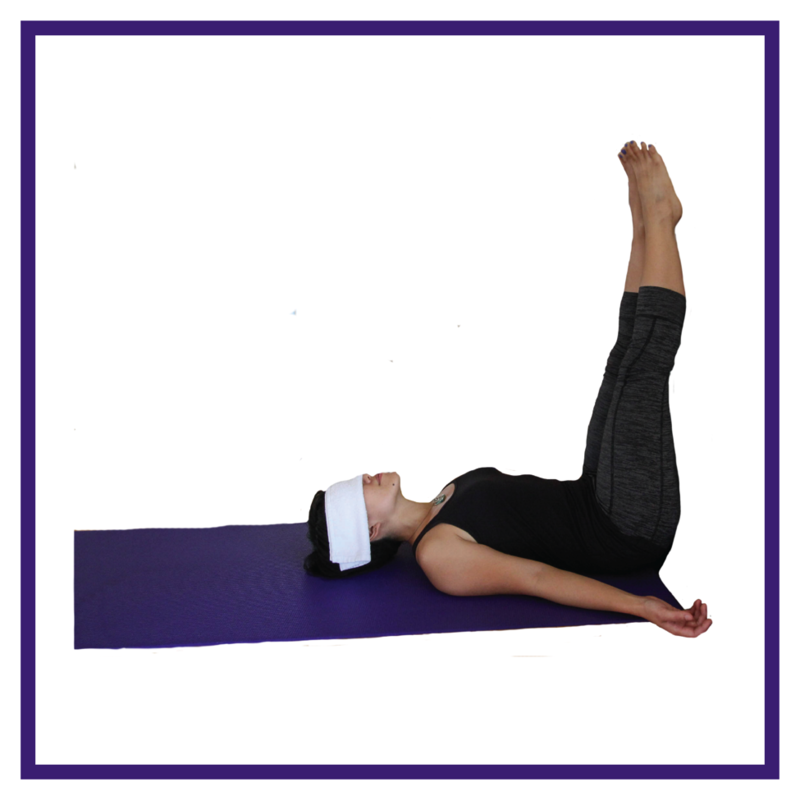 Try a new yoga pose every day and learn the benefits each one produces! Once again, special thanks to yoga pose models May Lim (Department of Electrical Engineering) and Nate Panelo (Office of Minority Affairs & Diversity). 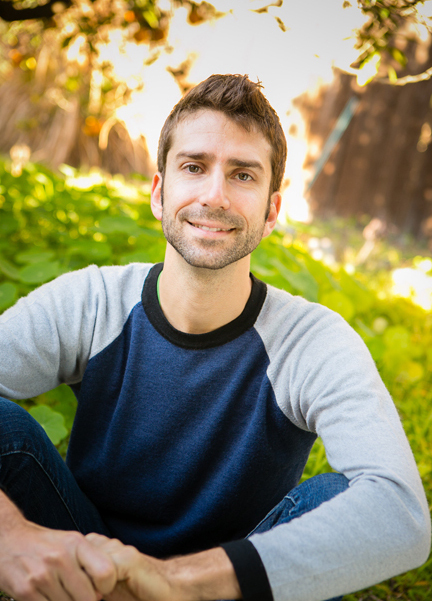 Danny Arguetty, M.A., is the mindfulness program manager at the University of Washington, a yoga teacher (and teacher trainer), nutrition/life coach, and a lover of the environment. He is the author of Nourishing the Teacher and The 6 Qualities of Consciousness. Passionate about helping people flourish through mindfulness, wellness, and personal self-development, he has over a decade’s worth of experience in group facilitation, one-on-one coaching, and experiential teaching. Danny has guided workshops throughout the United States, led basic and advanced yoga trainings in the U.S. and India, and spoken at Facebook, Olson Kundig, and Gravity Payments (all in Seattle). He served as adjunct faculty at Williams College, leads a quarterly course on Intro to Mindfulness at UW, and is a faculty member at Kripalu Center for Yoga & Health. How does a person find out what color their chakras are? The colors are more associated with the chakras themselves. So you if you wanted to awaken more heart energy surround yourself with green etc. Our chakras don’t have different colors per-say. There is something called Aura Photography which works with chakra colors. Google it to find out more info.